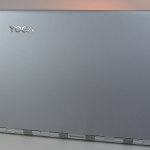 Lenovo Yoga 900 has entered the Indian shores soon after Lenovo announced it at this year’s Consumer Electronics Show in Las Vegas. Lenovo has worked on its previous 2-in-1 laptop Yoga 3 Pro and has come up with this piece or art with a lot of power inside. 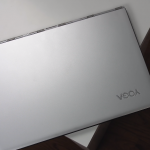 I have been using the Yoga 900 from more than a month now, and in this review I’ll be sharing the good and bad about the latest 2-in1 laptop from Lenovo. 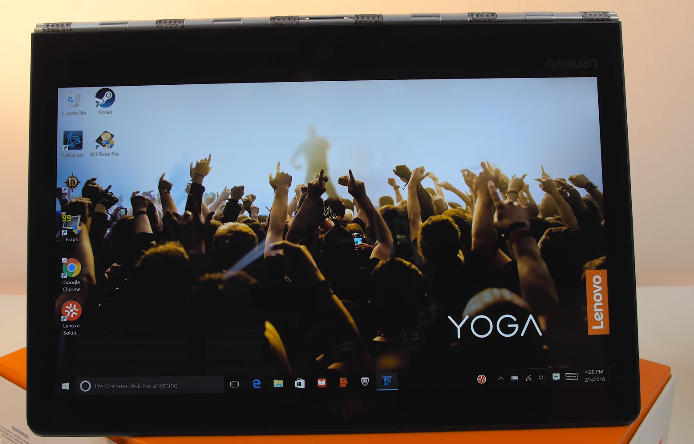 The Yoga 9000 looks almost similar to last year’s Yoga 3 Pro. 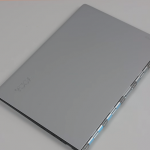 It is an ultrabook that has exceptional portability and adjustability modes and operational features. 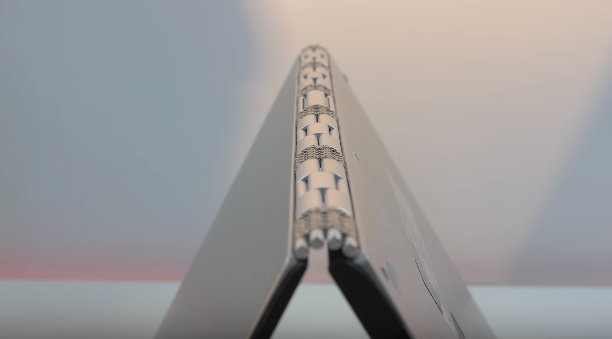 Lenovo has used the same metallic watch band inspired design with the aluminum hinge mechanism which we saw on Yoga 3 Pro. The hinge mechanism is implemented perfectly which reduces wobbling and holds the display very steadily at extreme angles. 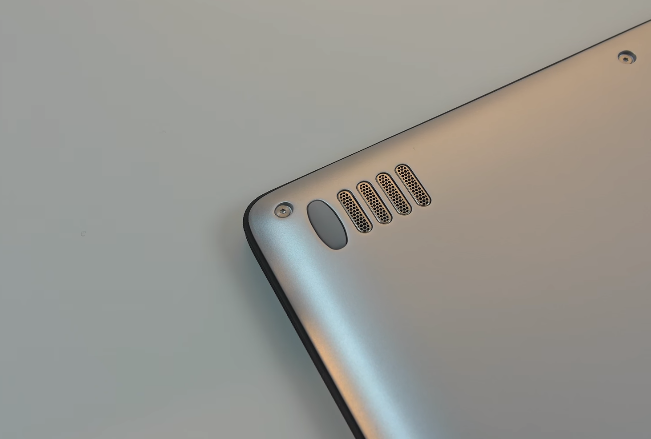 It comes with a brushed metal finish on the lid, which enhances the look and feel but not premium enough for the price. But the good thing about this material and paint is, it does not get stains and fingerprints like other shiny lids. It comes in 3 appealing colours- Clementine Orange, Platinum Silver, and Champagne Gold. 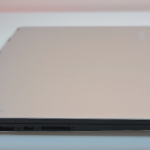 If we look at the form factor, the Yoga 900 feels extremely slim and compact fi we considering the power under the hood and also that the keyboard can’t be removed. 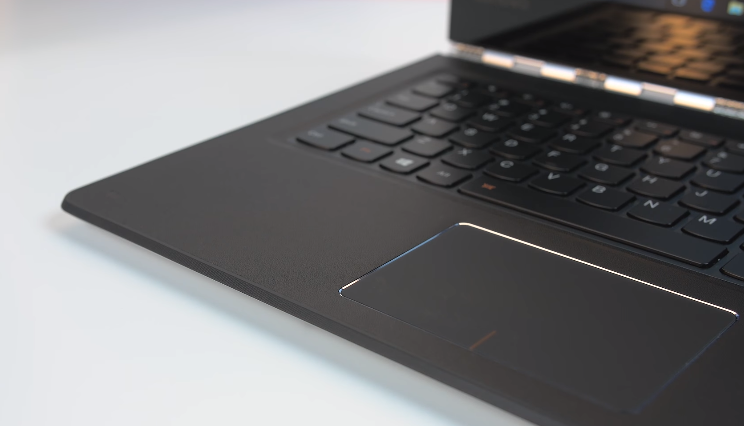 It weighs just 1.29 grams and feels light for an ultrabook. 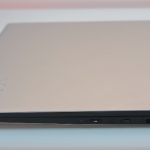 It is also thinner than any other ultrabook available with such powerful specifications, it measures 324 x 225 x 14.9mm and at 14.9 mm it is just 1.7 inch thicker than the Microsoft’s Surface Pro 4. 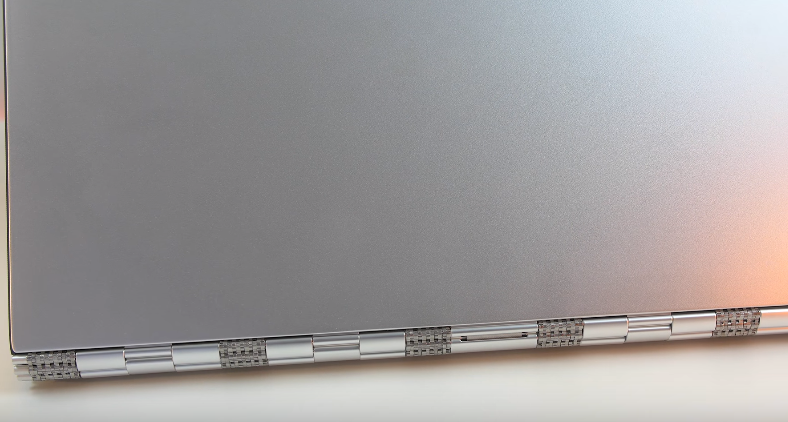 To add more premium aspect to the Yoga 900, Lenovo has added a faux leather texture on the keyboard deck, and the leather feels smooth compared to last year’s model. But after certain period of usage, the leather material felt slightly rubbery. The overall build quality is good, but a lot of us would expect something better at the price point. I really liked the design, and specially the watchband hinge which makes the design impressive and looks premium as well. 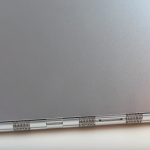 Like other Lenovo laptops, the keys on Yoga 900 come with company’s standard U-shaped design with rounded bottom edges and two levels of back light. 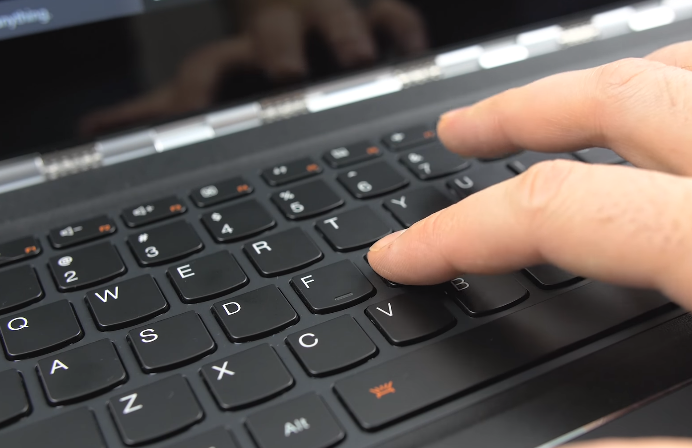 Another improvement over the Yoga 3 Pro is the addition of a dedicated row of function keys including brightness and volume. 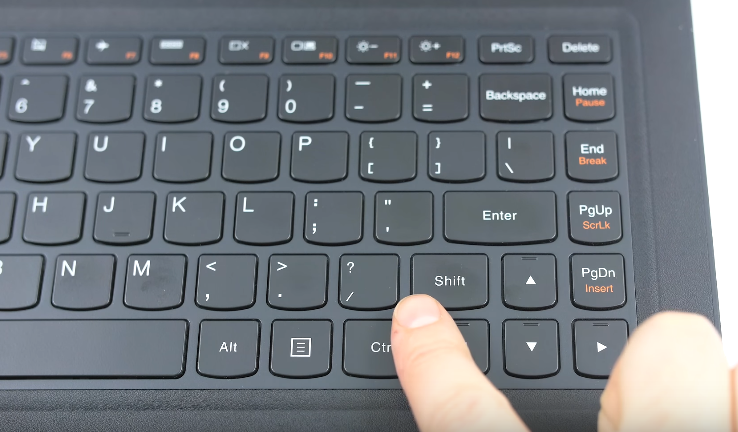 During my usage, I felt that the size of the right shift key is too small which gets frustrating at times. 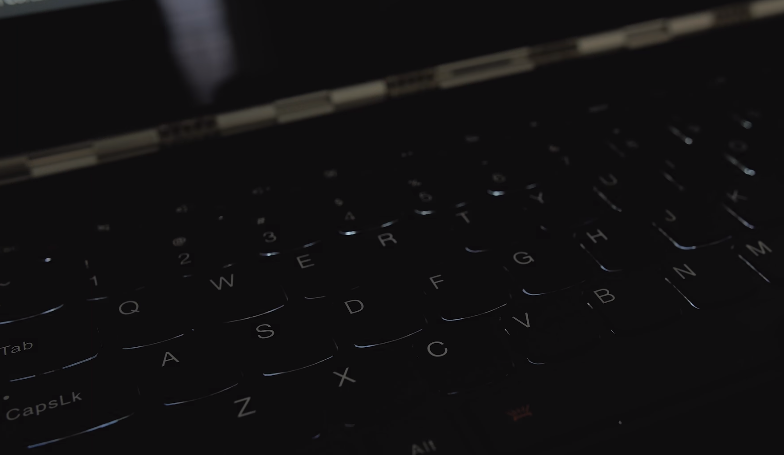 The response form the keys was good and the keyboard felt really solid while typing. 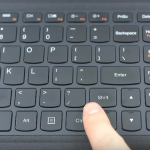 It has enough spacing between the keys to avoid typing errors. But someone with big hands might find this keyboard slightly undersized. 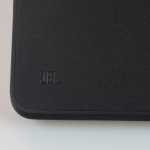 The trackpad measures 3.5 x 2.5 inches and comes with a silky smooth finish layered over the top. 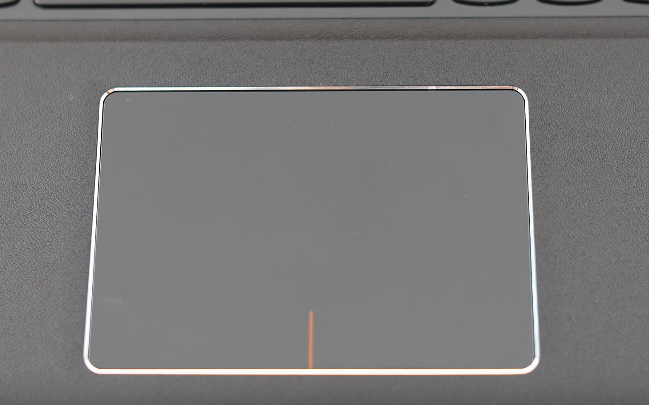 I am not very impressed with the button-less trackpad on this notebook, that doesn’t mean it was not functioning properly. 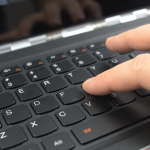 It was easy to scroll with two fingers, and left or right clicks were also easily doable. 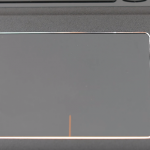 The only complain is with the size, it should have been a little wider so that your finger doesn’t run out of the pad while moving the pointer. 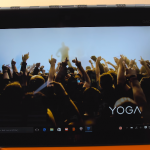 Lenovo Yoga 900 comes with the similar 13.3 inch QHD+ IPS display that was seen earlier on the Yoga 3 Pro. 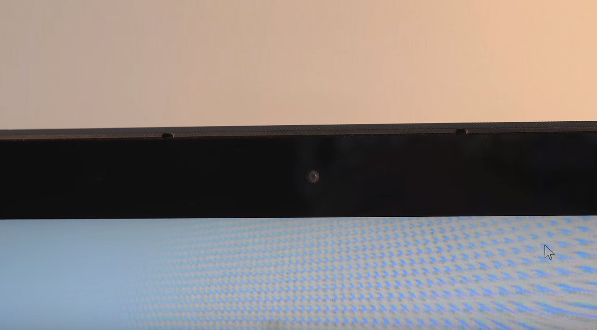 Pixels are packed at 276 ppi with the resolution of 3200 x 1800 pixels. Display is something I find the best in this notebook, its quality is excellent with balanced colours and while levels. Colours look really vibrant and blacks look strong. The only thing which irritates is the over reflective surface of the display, whenever the screen goes dark, it acts like a mirror. 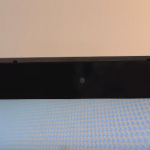 The brightness is a bit under the average, which is not something we expected after having such an amazing display panel. 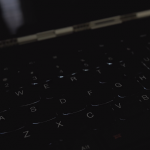 It becomes really irritating while watching dark sequences in movies and videos. 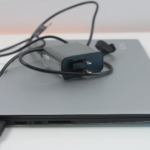 Yoga 900 offers two USB Type A 3.0, single USB Type C 3.0 with video-out, DC port which can be doubled as a USB 2.0 port, an audio jack, and 4-in1 card reader 9MMC, SD, SDHC, SDXC). Something that is missing in this setup is a HDMI port, which is replaced by the USB Type C port. 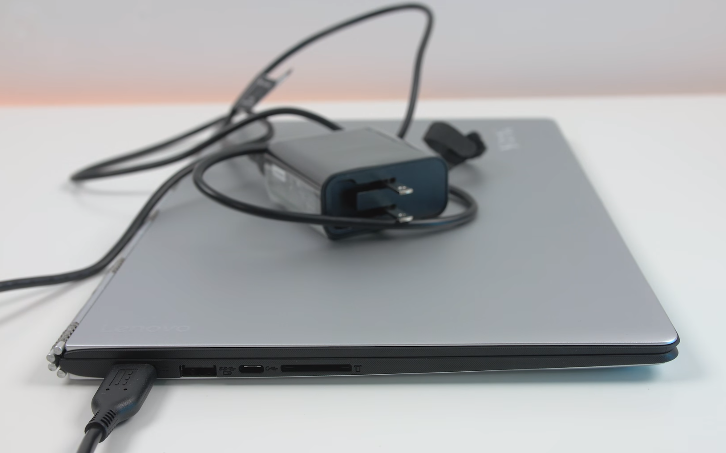 The USB Type C port acts as a video out port to connect to a monitor or other devices to your laptop. There’s also a 1MP 720p camera, which works perfect for video chats and conferences. I don’t know what technology or sensor it is but, it produced decent photos in well-lit areas. 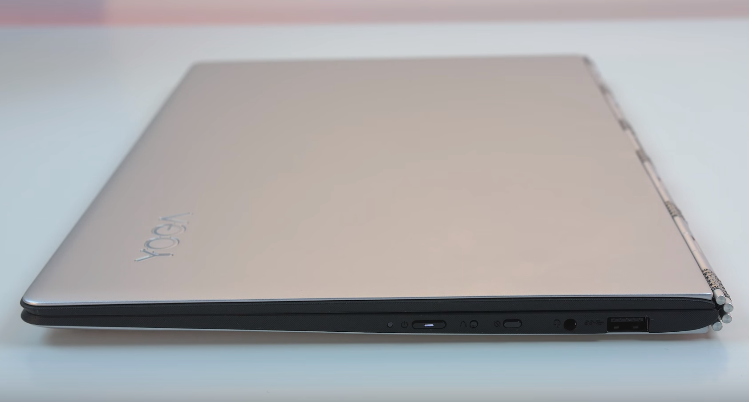 With Intel Core i7 CPU, 16 GB of RAM and 512 GB of SSD, this notebook seem to be perfect on paper. It can easily get through the tasks thrown at it by a demanding user at office or at home. It can speed through most of the regular as well as tasks that demand lot of power. App launch speed is very quick and there is no delay in processing basic tasks. I could easily edit pictures and videos on the go and multitasking was done like a cool breeze. I left a lot of windows opened just to check how far can I take it, but it was easily taking care of each tab I have opened and did not slow down. If you are a multimedia lover, you are going to love this notebook as its multimedia performance is stunning. 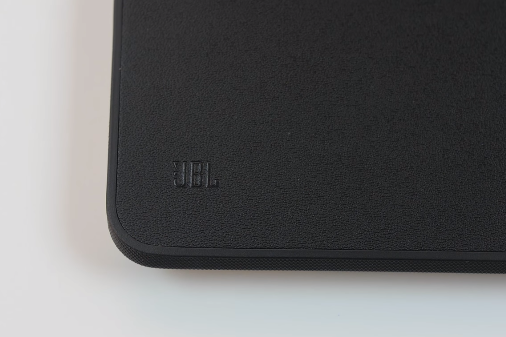 It comes with the two bottom-firing JBL speakers tuned specially by Dolby. The speakers are lous and crisp for a small room and I was personally very impressed with this. 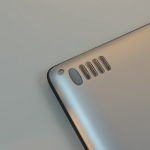 You can enjoy watching movies and videos on this tablet without needing an external speaker. 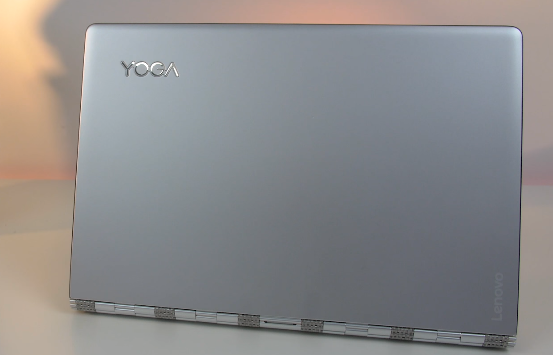 We have seen the Yoga 3 Pro struggling in terms of battery, although it was slightly slimmer than the other ultrabooks. 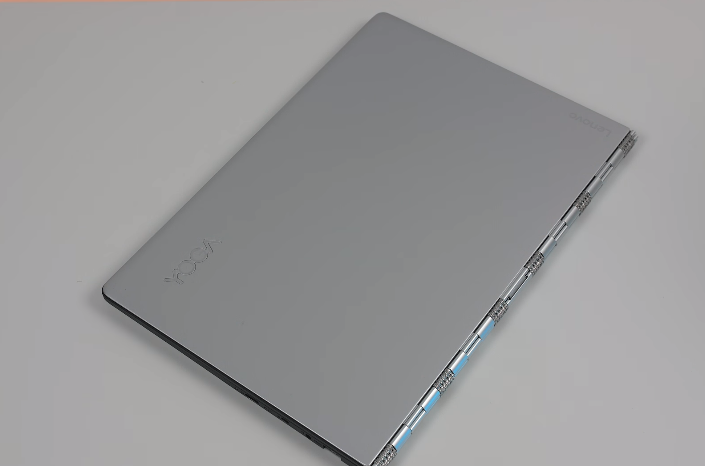 The Yoga 900 has come with improved battery life, it could easily complete around 8 hours of usage which involved tasks such as watching movie, preparing office docs, surfing internet and playing music. 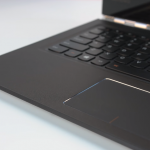 With an 8 hour battery life, it equals the average backup offered by several other notebooks with such powerful hardware. 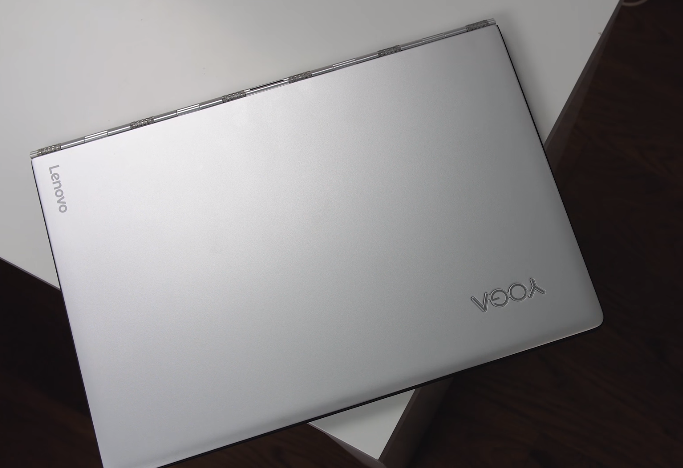 No doubt that this ultrabook is a beauty in its own, but is it worth the extravaganza prize tag? Looking at the Indian public, there are very few who invest in a notebook costing above Rs 1 Lac. Those who invest, mostly go for the ones with high end performance and best quality. 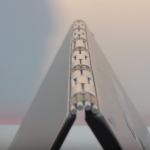 So as a regular user, Yoga 900 somewhere fails to convince me for that price tag. 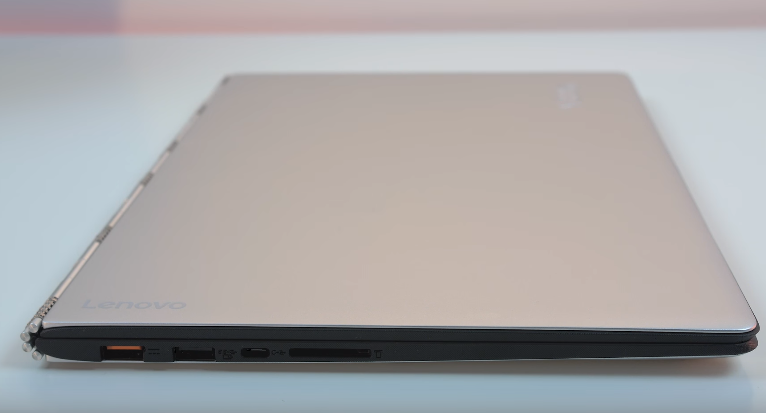 There are many other options with better hardware inside but Yoga 900 is slimmest and looks better than many of them. It is meant for those who love to carry a stylish looking notebook that can perform well on the other hand.